Guys have a bond that women will never understand. We have our own language, sometimes complete with only grunts and an occasional head nod. Certain things are just understood by men only, things that don’t require speaking. Besides, Chuck Norris doesn’t speak… he breathes and people beg for mercy. You have your man cave, a place where women are not allowed. You would settle for the garage… or even a storage unit, any place where you can find refuge. Some place where you can spend hours talking about the draft and what players your team needs to improve their chances next year. But in the end you need your dude time, and you need guys around you that you can rely on. A wing man. Guys that would go to bat for you. That was the bond David had for Jonathan. After putting up with his father Saul, David was bonded with Jonathan and at Jonathan’s death… David was crushed. It is a yesteryear Maverick and Goose. When Goose dies, Maverick’s world is crushed. He ends up fighting again but his bond with Goose lives on. The same goes for the story of David and Jonathan. Although not related by blood, they were brothers. Men are no different today. You go to school, get a job, get married, and start a family… all to wonder what the purpose really is? If you have a relationship with God you want other Christian men to run with. If you don’t have a ‘relationship with God’ (as the pastor says) you wonder if God is the type of man you would want to hang out with it. Is it worth your time? As men it is crucial that we have other men to walk through life with. In the movie Band of Brothers the strength of Easy Company was in their unity and brotherhood. They were the strongest, baddest men in the Army and their reputation preceded them. God created this camradarie for a reason. Because He doesn’t expect us to go alone and you are stronger with other men around you. You need men to lean on, and your wife needs other women. If you are not in community join a local a church. 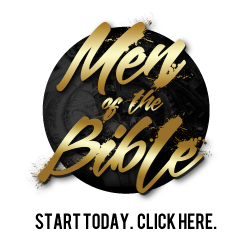 And if you are in a local church and don’t have a men’s ministry, or it could use some work, we have resources for you. If you don’t have a relationship with God let me introduce you to this Jesus you hear all about. – Article contributed by guest contributor, Matt Cote.